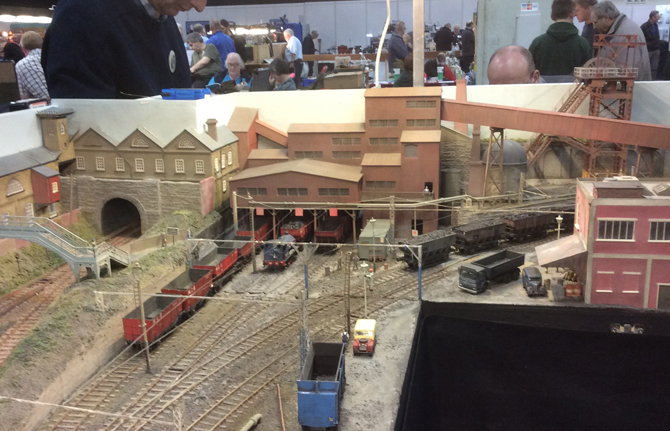 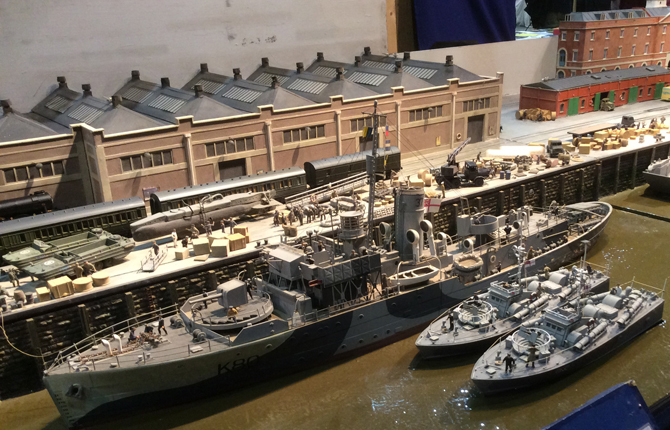 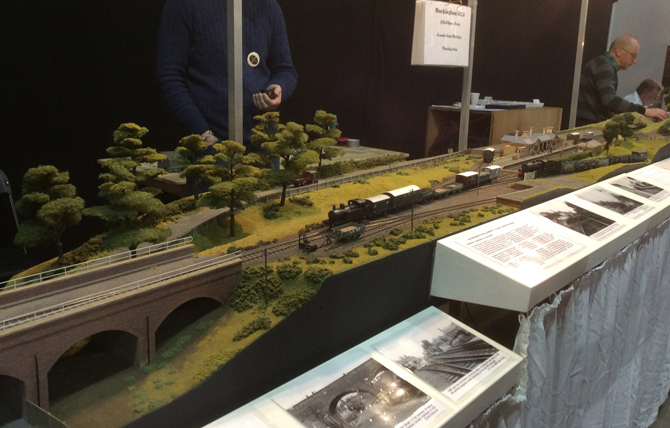 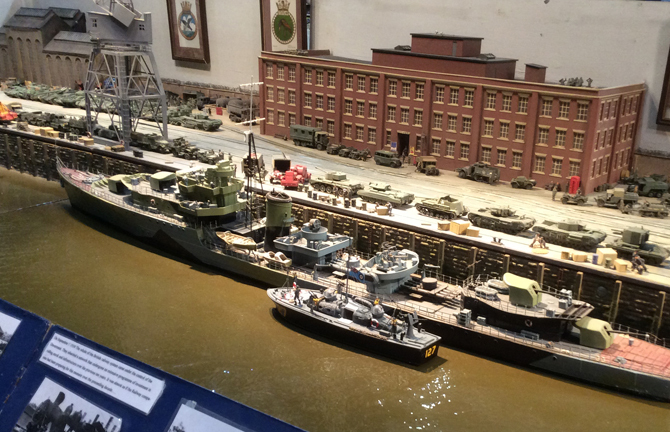 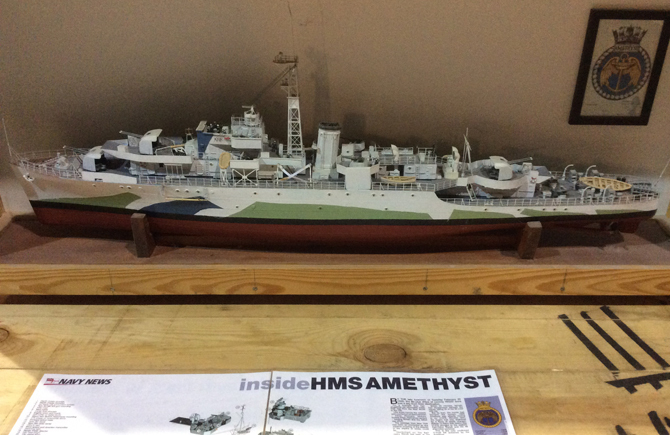 Sunday March 8th was an exhibition for the general modeller with a well balanced selection between layouts and traders. 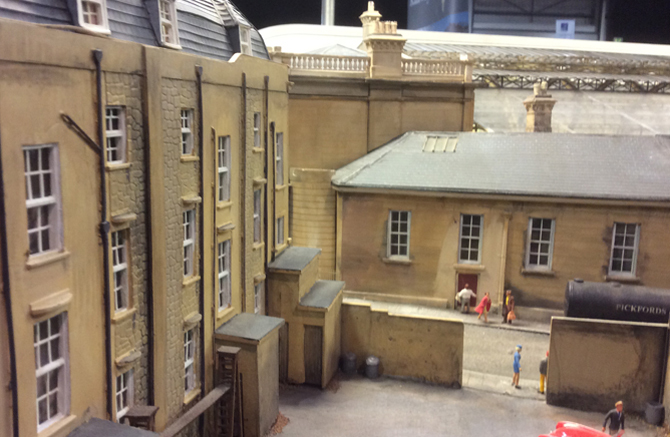 The layouts on show were of the usual high calibre for which the show has gained a good reputation. 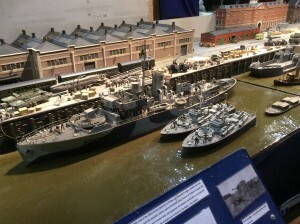 The traders had a multitude of products for sale covering an array of scales and gauges. 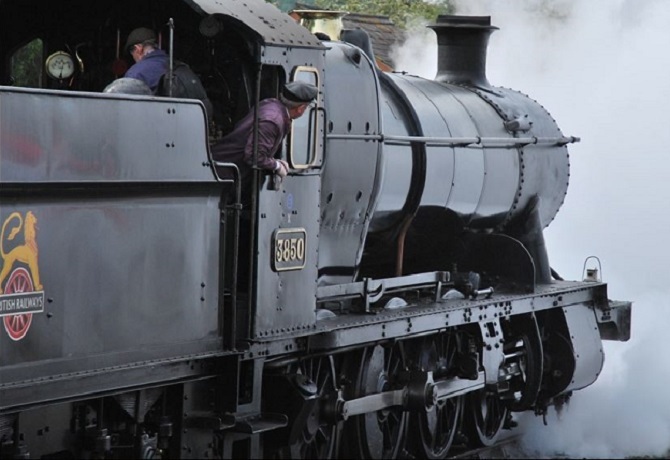 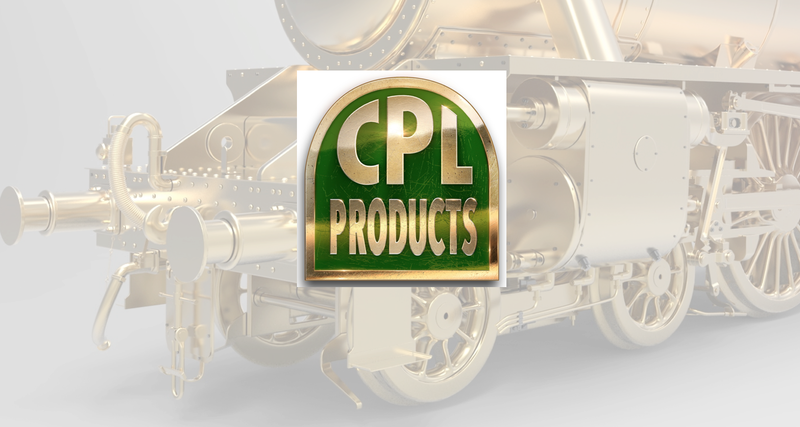 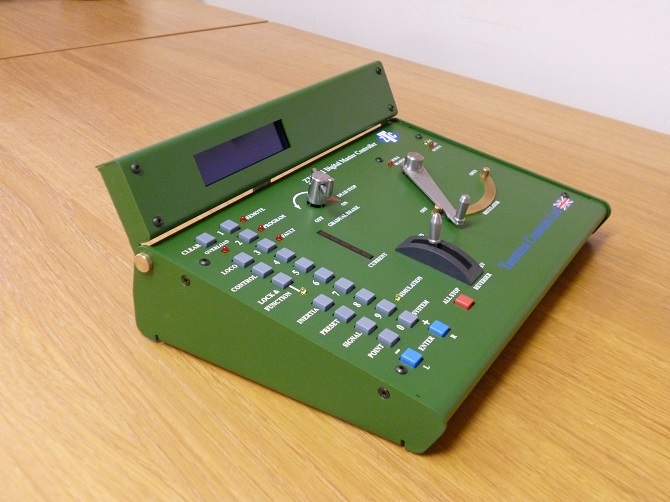 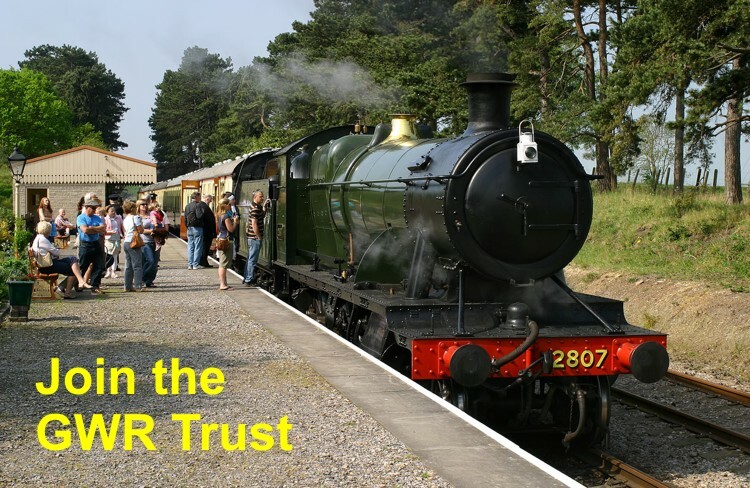 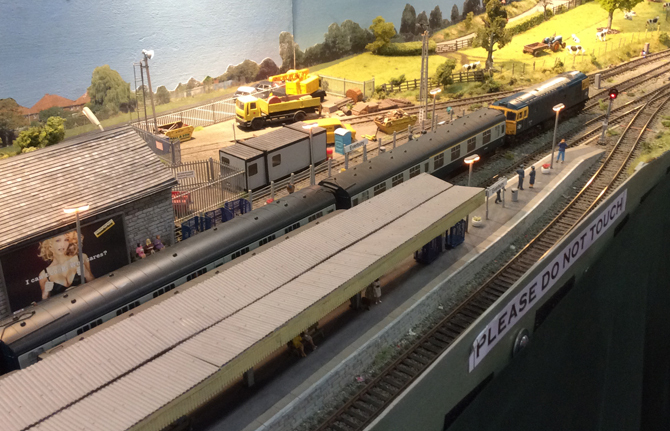 There were companies providing custom built baseboards, digital control systems, digital sound systems, locomotive and rolling stock kits, along with a vast range of ready to run models. 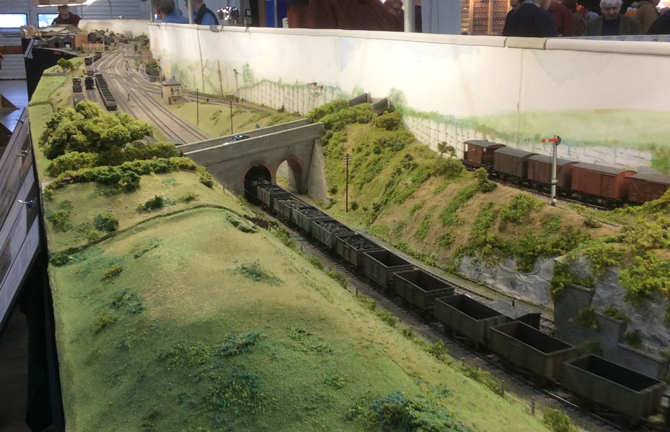 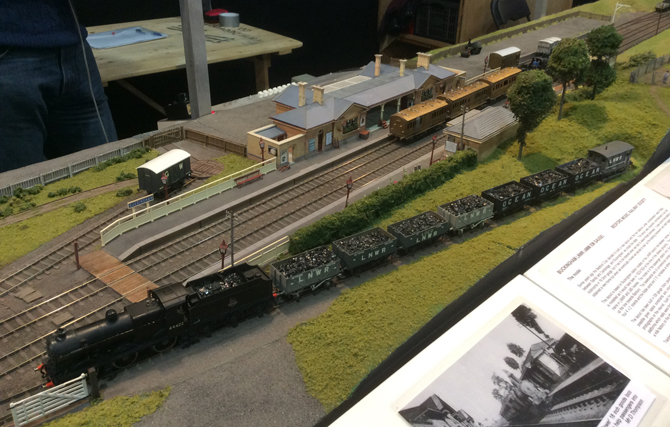 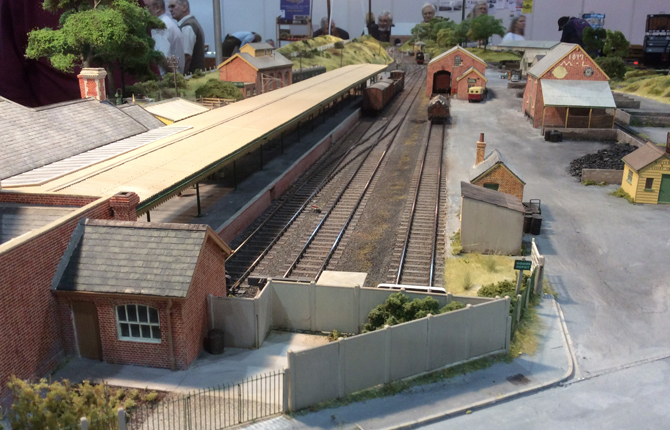 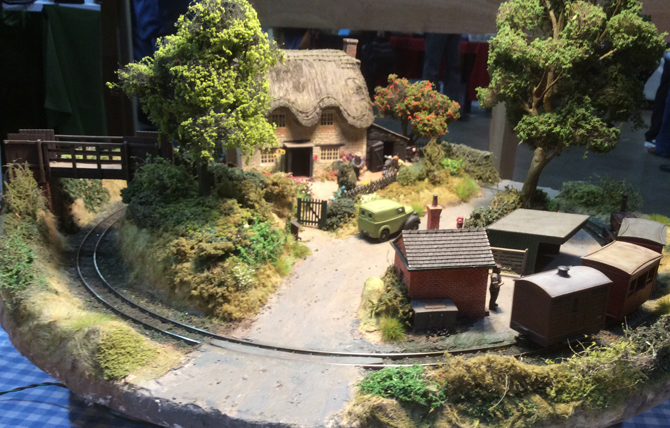 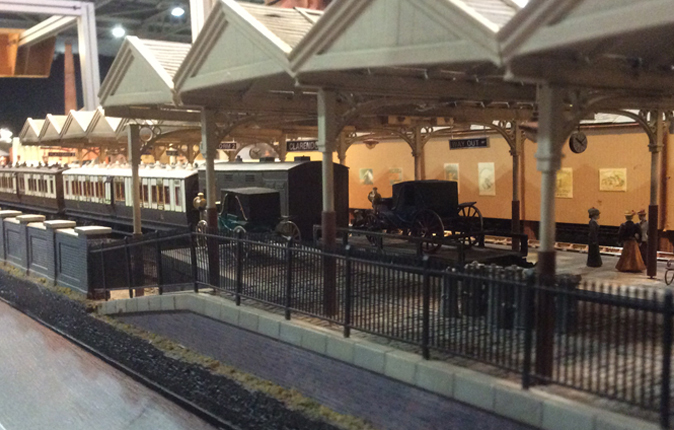 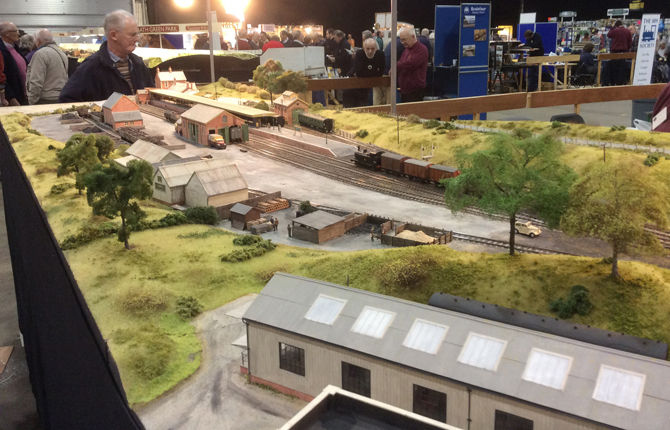 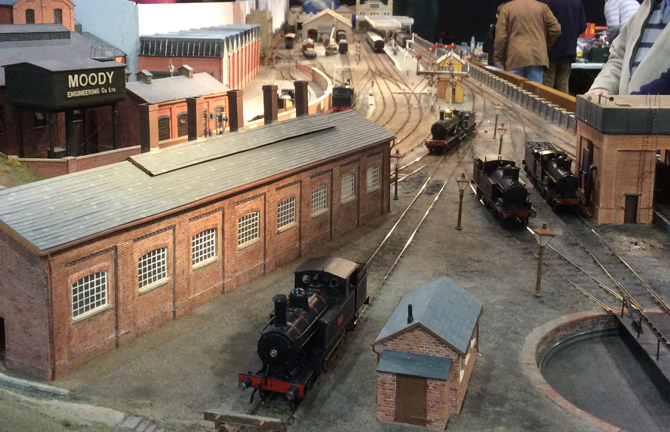 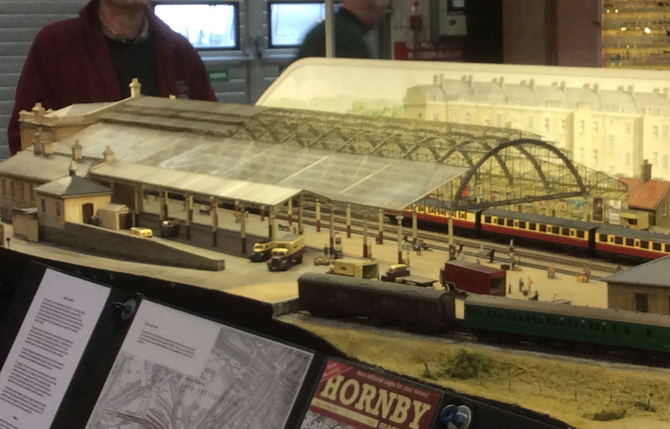 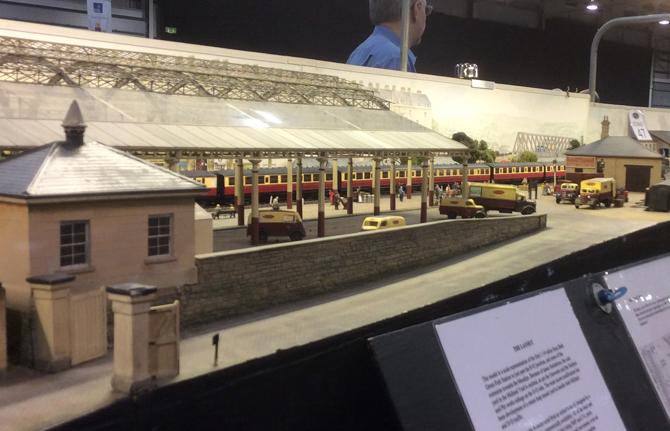 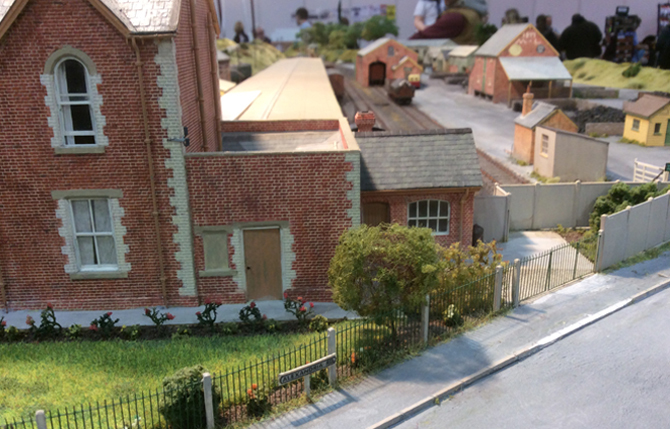 The layouts on show were a fine collection of what model railways are all about, ranging from small compact layouts to models of prototype locations. 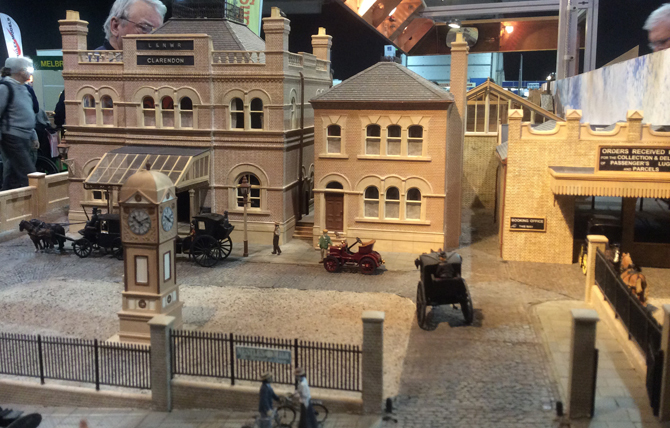 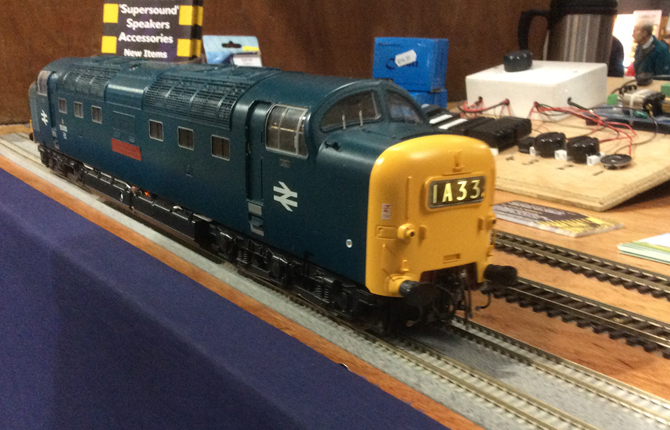 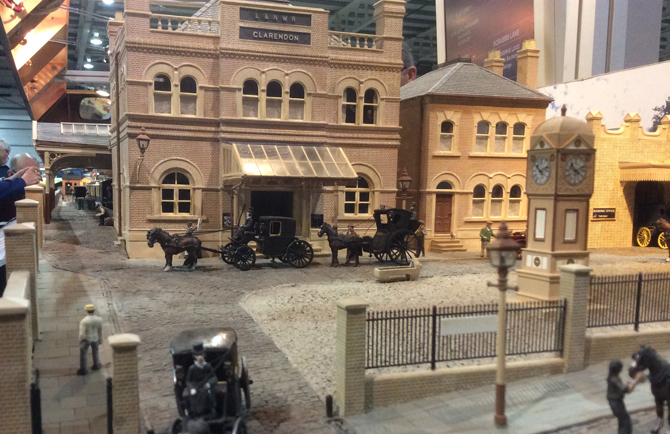 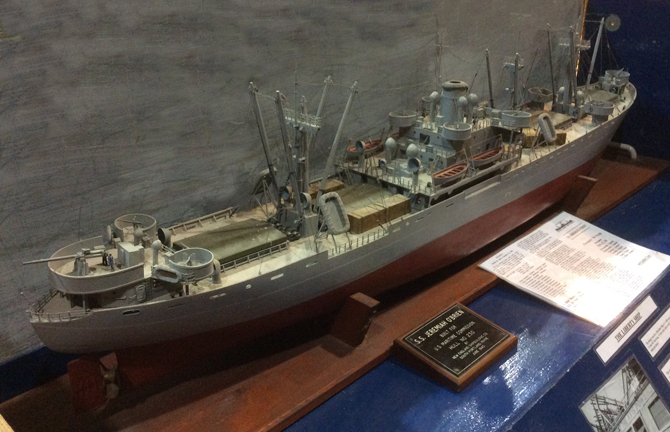 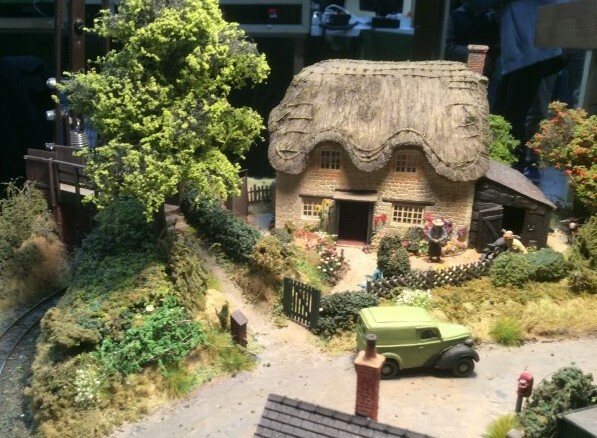 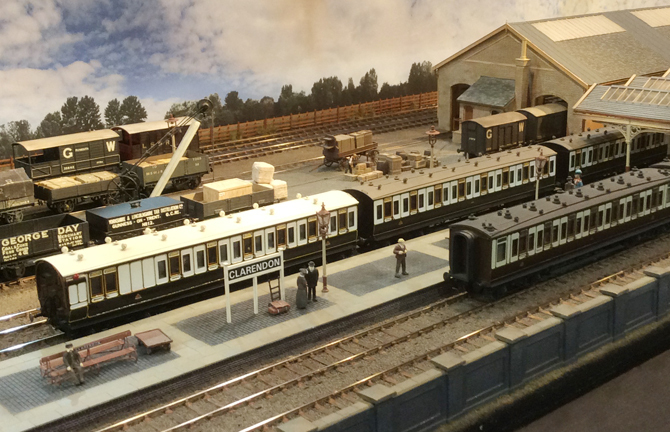 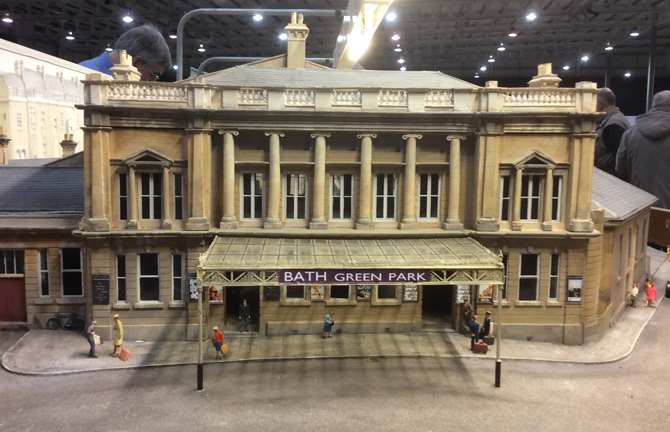 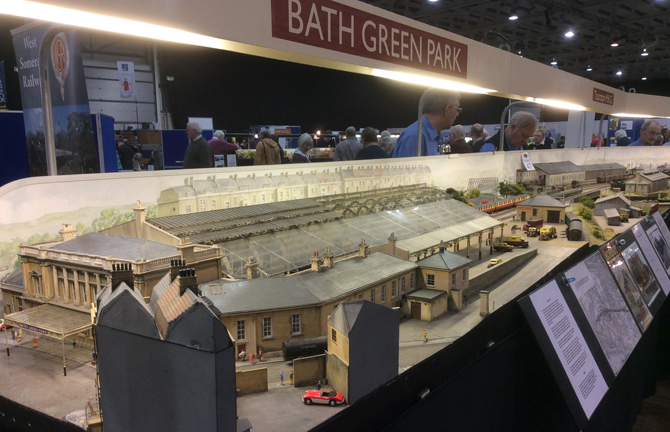 Two of the highlights of the show in 4mm modelling had to be Bath Green Park and the other was the P4 layout Clarendon from the Leamington & Warwick club. 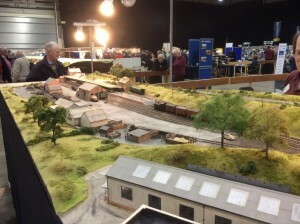 Other fine models were End of the Line in 0 gauge which features radio controlled lorries and an automated standard and narrow gauge mineral railway. 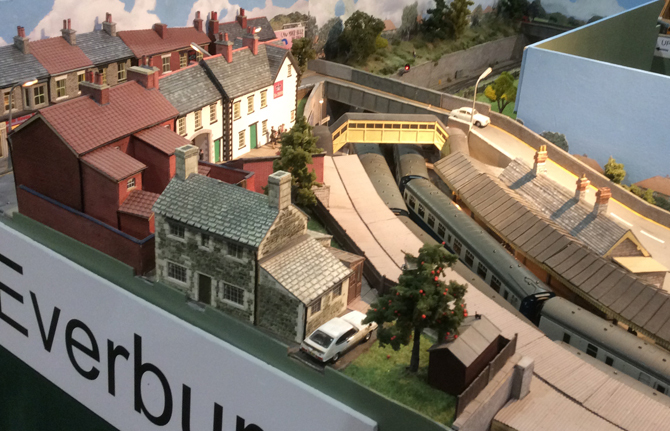 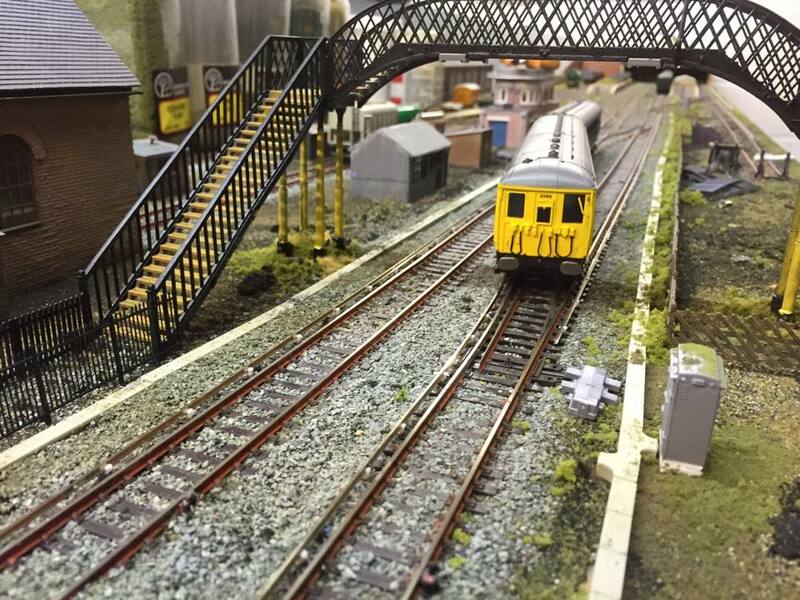 There was Banbury a 2mm fine scale layout recreating the modern railway scene, also along modern railway lines was Loughborough Midland in 4mm oo gauge running highly detailed ready to run and and kit built models. 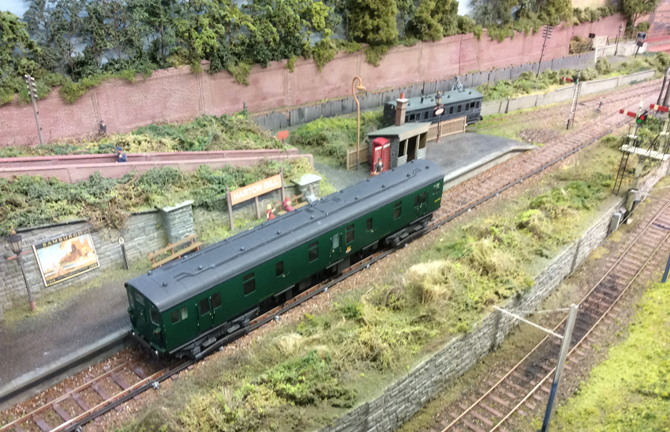 New to the circuit was a fine model of Buckingham Town running services from LNWR and the Midland Railway and there was another fine 4mm of Sidmouth. 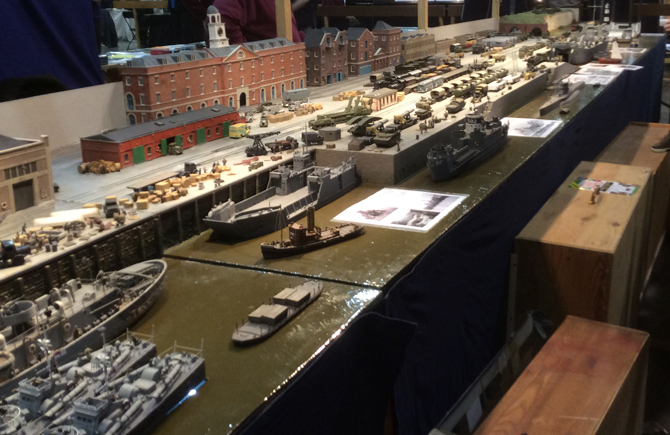 Another fine layout from a member of the Leamington Club was the superb Overlord, a model depicting the mobilisation of the British and American forces embarking for conflict during the Second World War. 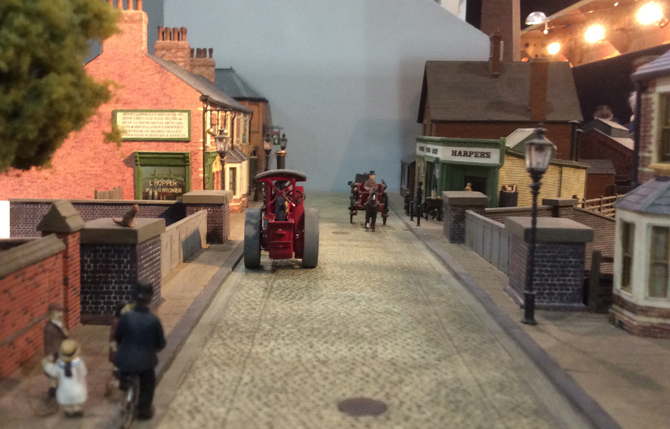 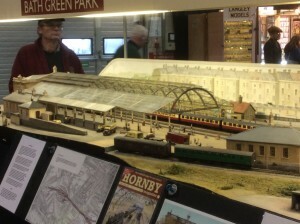 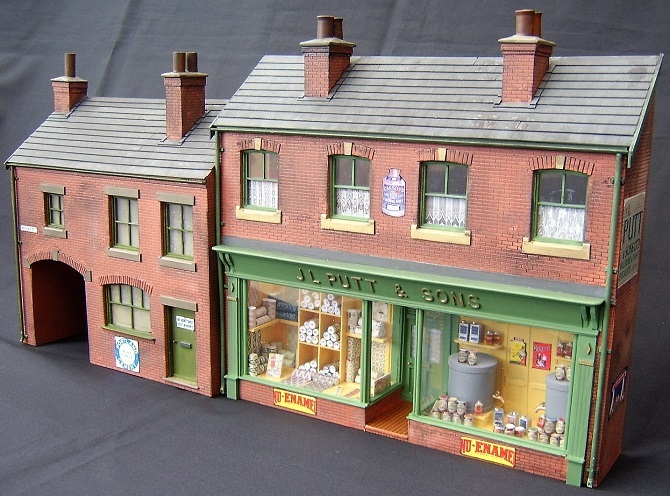 One of the pictures above shows a model railway scene in an area of around 15 sq. 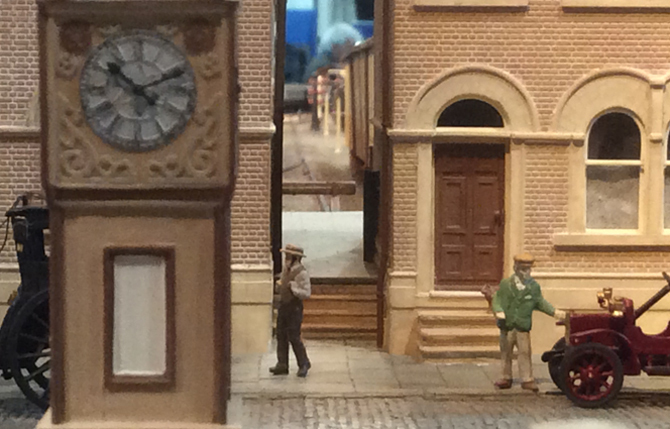 inches, fantastic detail. 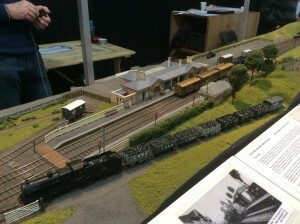 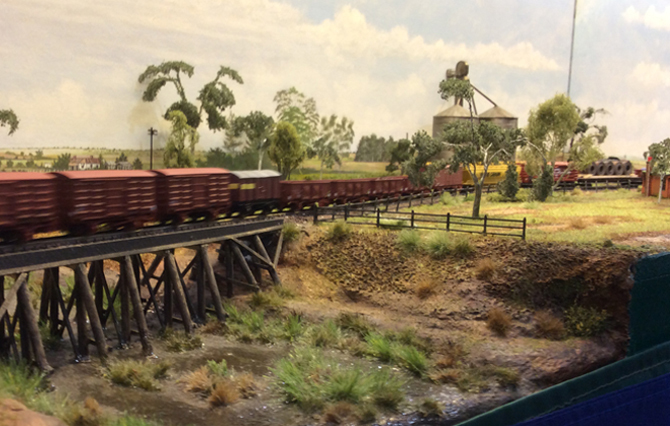 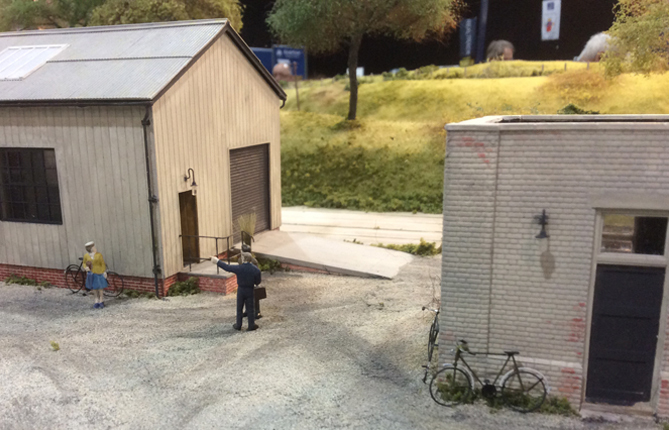 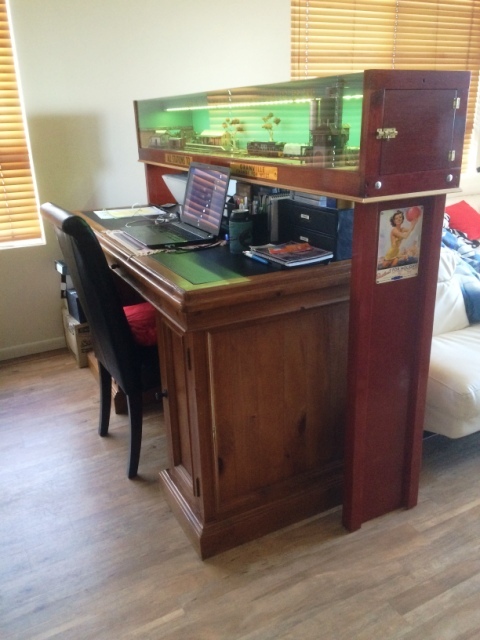 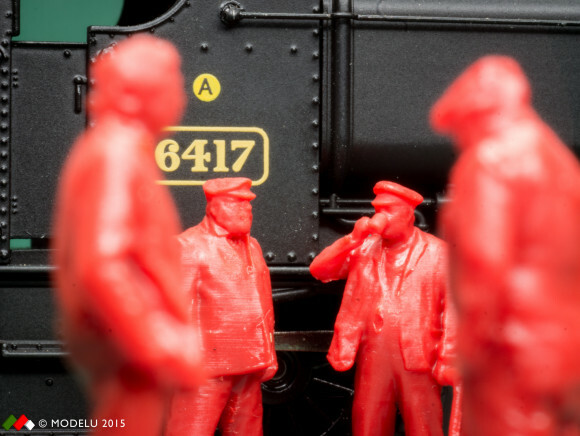 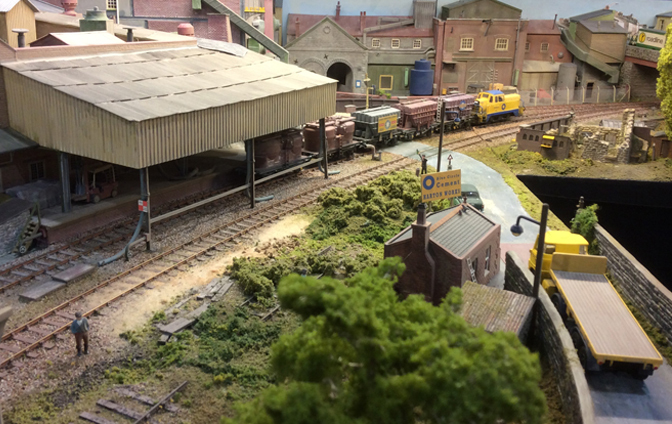 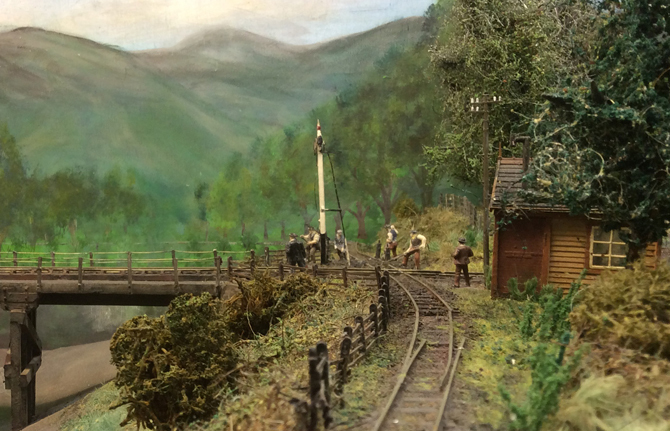 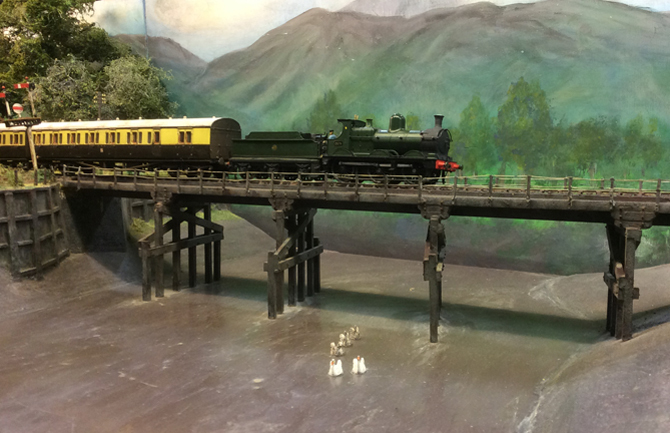 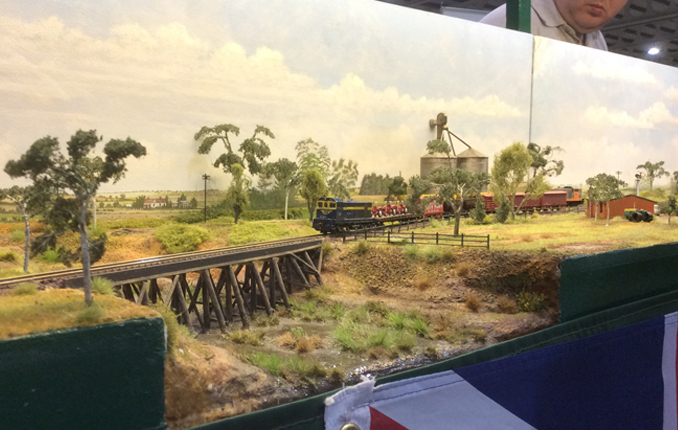 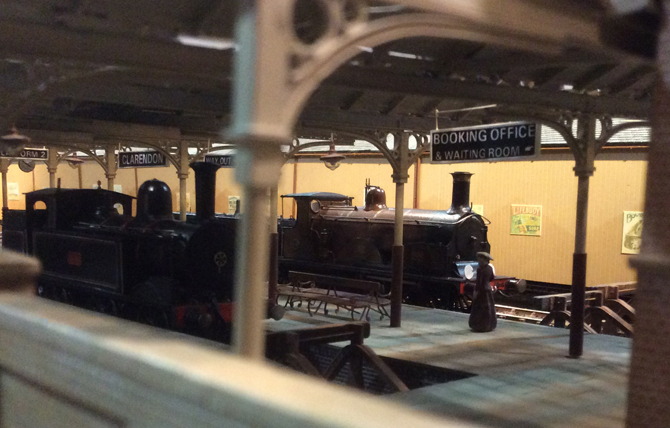 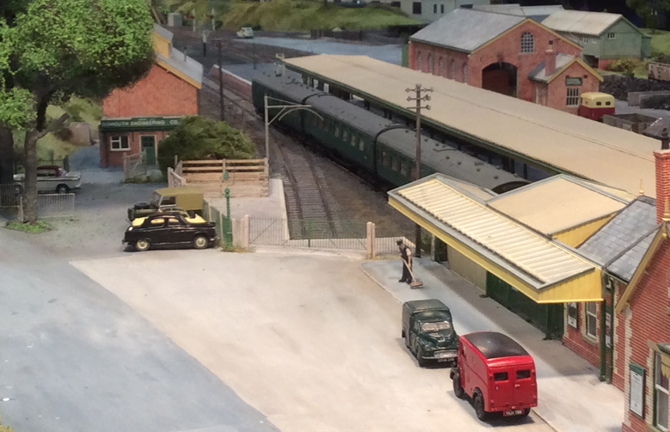 Below is a selection of photographs of some of the other layouts. 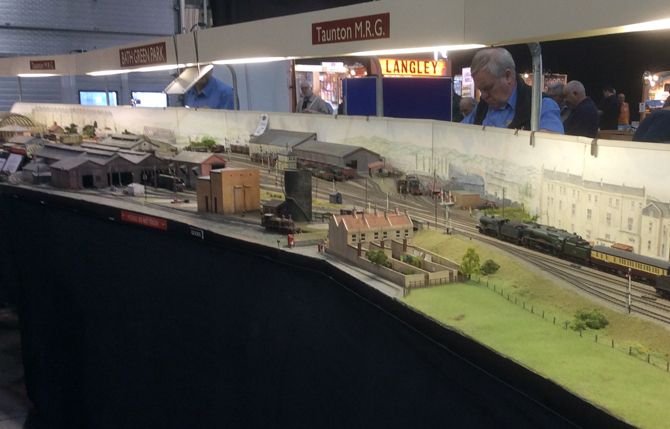 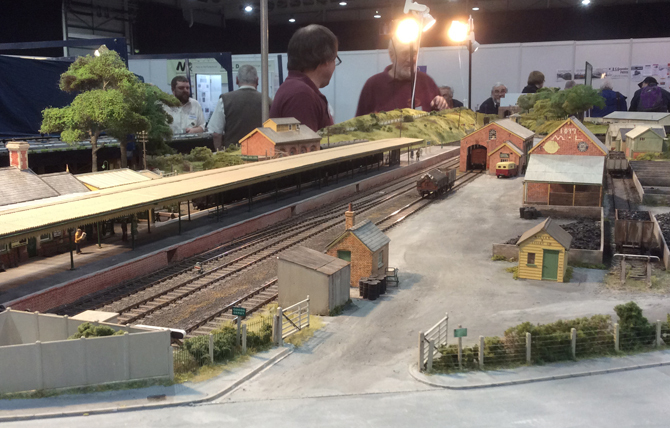 In total there were 24 layouts on show all presenting a fine exhibition and a regular date in my next years diary. 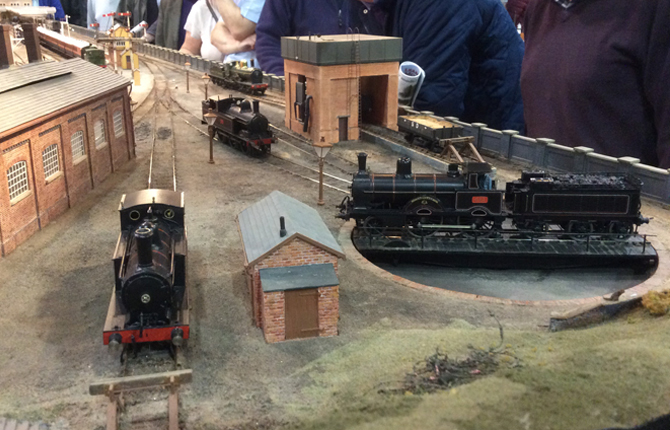 All in all a great day out for the modeller and family alike, something for everyone.